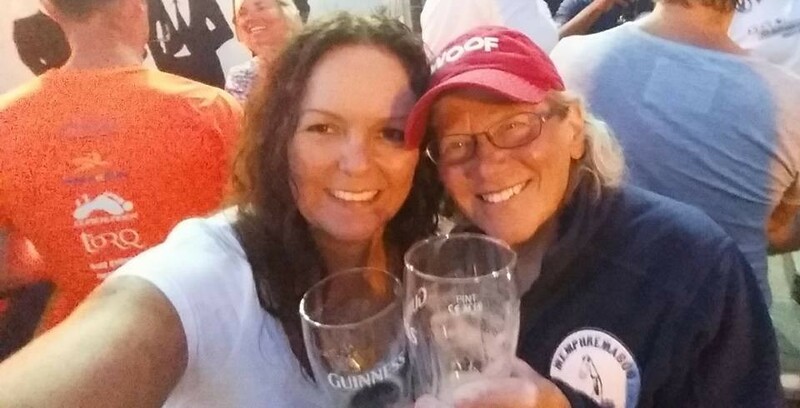 I first met Paula in Ireland at the Cork Distance Week in 2015 based in Kinsale. We were housemates and had only communicated via email. We got on well immediately! So much so, we decided to share a house again in 2016 and will do so again this year, 2017. 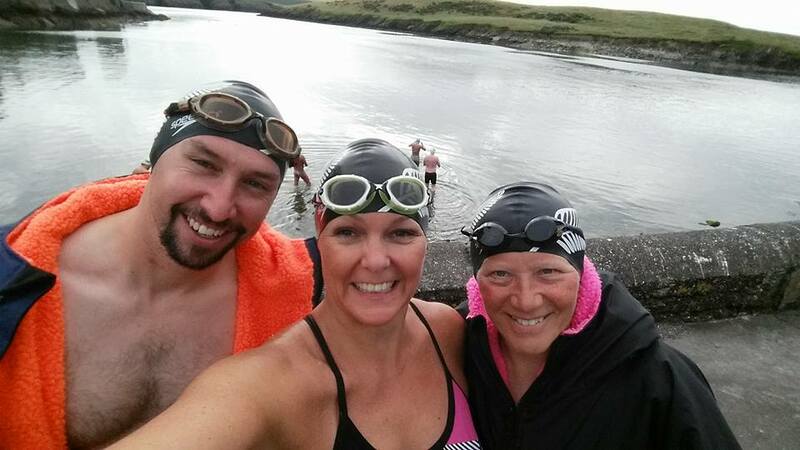 When Paula asked me to crew for her on her English Channel swim, I said yes immediately! To be a part of someones dream team is such an honour. I liked very much what I saw in Paula when swimming with her in Ireland. She is so gutsy and determined – both of which are needed to succeed in the English Channel. Paula’s biggest hurdle was the cold. I saw her push herself so hard in every swim over the course of the 9 day camps. Temperatures were between 10-14 degrees and not once did she ever give up. I had every confidence in her ability to succeed should conditions in the Channel allow her to do so! I came to Dover a week before Paula’s swim and we managed a quick lunch, swim and a catch up. Paula’s years of cold water preparation had really paid off. The water temperature in Dover Harbour was about 17 degrees and Paula was handling it so very well. This added to my confidence in her! 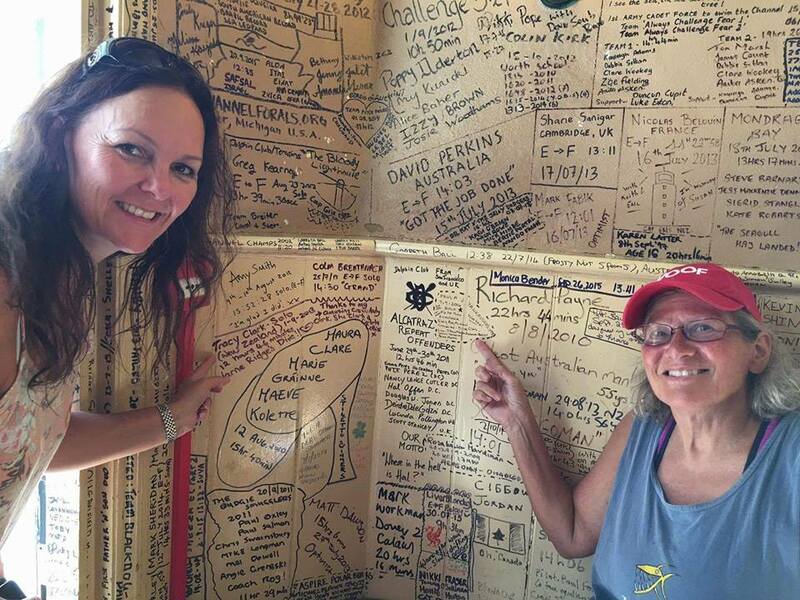 I met Deborah Beier, Paula’s long time friend, paddler and the other crew person on her swim. It’s so important when choosing crew, that you choose crew who you know will look after you – not the other way around. I could see immediately the trust and strong friendship between these two women and also liked Deborah upon meeting her. A week later at home, I got a phone call from Captain Eddie at 4am in the morning asking if Paula could be ready to go today! He said it was going to be a great day on the water so of course I said yes! I got organised and drove to Dover…again! We met in Dover Marina at 11am on the 6th of September. For me, this was a GREAT sign. For Paula, this was difficult as her daughter Sarah, Sister Valerie and friend Tiffany who were also supposed to be on the boat – hadn’t arrived in the UK yet! She wisely decided to go for it! 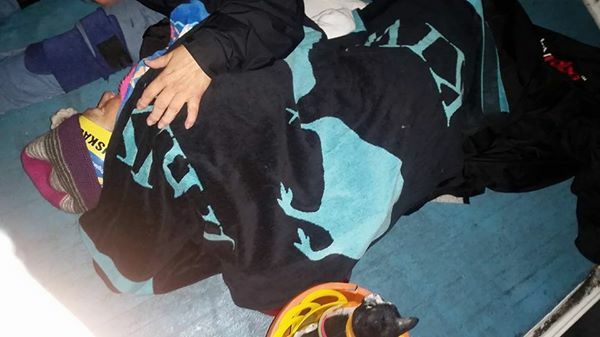 Paula was being looked after by Captain Eddie Spelling and his team on Anastasia. This would be the third time I would be crewing for a solo swimmer at this time of year. 2014 for Charlotte Samuels and 2015 for Jim Clifford – both successful of course and with Captain Eddie. I took this as a good omen and shared this with Paula and Deborah. We did the usual preparations. Checking feeds and going over the feed plan which Deborah very much had under control. Nutrition/feeding during a swim like this is such a personal thing. I see something different on every swim! 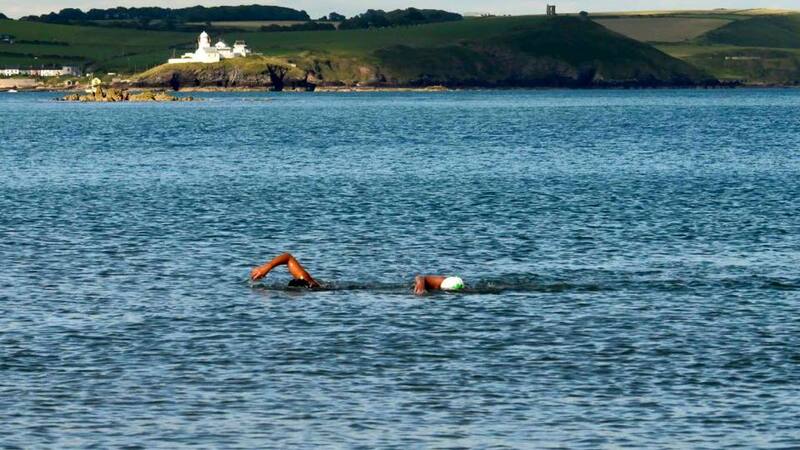 Our observer for the swim turned up and we were all happy to see it was Kevin Murphy – the King of the English Channel! We caught up with Captain Eddie and his crew and we started making our way to the start. Deborah was a wealth of knowledge with Paula’s feed concoctions so we decided she would take care of that for the duration of the swim and I would deliver them on my feed reel. I would also be in as often as allowed to support swim Paula. This would mean after three hours I would swim with Paula for an hour, out for two, in for one and so on. We got the ten minute call from boat crewman Rob. Paula stripped down and I started to grease her up. 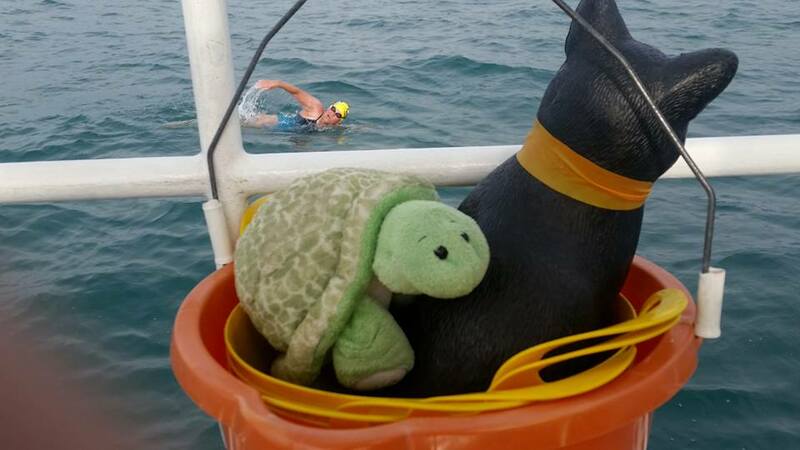 While I was doing this, Deborah strategically placed Paula’s two very important mascots – Cat Stanley and Turtle – so they were watching over her while she swam! Paula started her swim at 12:45pm in beautiful, calm 19 degree Celsius water with a balmy (for the UK) 22 degrees air temperature. Paula started this swim steady and strong and continued to do so throughout her swim. She had beautiful conditions for the English Channel which was nothing less than she deserved! After three hours of swimming, I got in the water during Paula’s feed delivered by Deborah (with strict instructions not to drop my precious feed reel in the water – a gift from Roger Finch). To jump in the water mid Channel during a friend’s dream, is only second best to completing this swim yourself. I tried to match my stroke to Paula’s so that we would breath at the same time facing each other and exchange a smile. There were a few compass jellyfish around and I got a few stings along the way, so knew Paula also did but not once did she complain! When helping a swimmer preparing to swim the Channel, one of the first questions I ask is “can you pee and swim?”. No question or topic is sacred amongst Channel swimmers! I knew that Paula couldn’t pee and swim! Because of the nature of the tides in the Channel, swimmers must take their feeds as fast as possible and keep all stops to a minimum. Every second a swimmer stops, they are taken off their swim track to France by the current. At the end of a long swim, this could add hours to a swim. Paula did have to stop to pee which was taking up to 90 seconds. Her feeds were fast but this was slowing down her progress. On Paula’s next feed she yelled out “I just learnt to pee and swim in the English Channel”! What a time to learn Paula! Nothing like leaving things until the last minute – you will always remember the English Channel for this!! Paula continued to swim steady and strong into the night. Night swimming is so serene and I could see Paula was enjoying this. The Channel continued to behave herself. I got in and swam with Paula at every opportunity. Around midnight, after Paula had been swimming for about 11 hours, she had started to slow down. 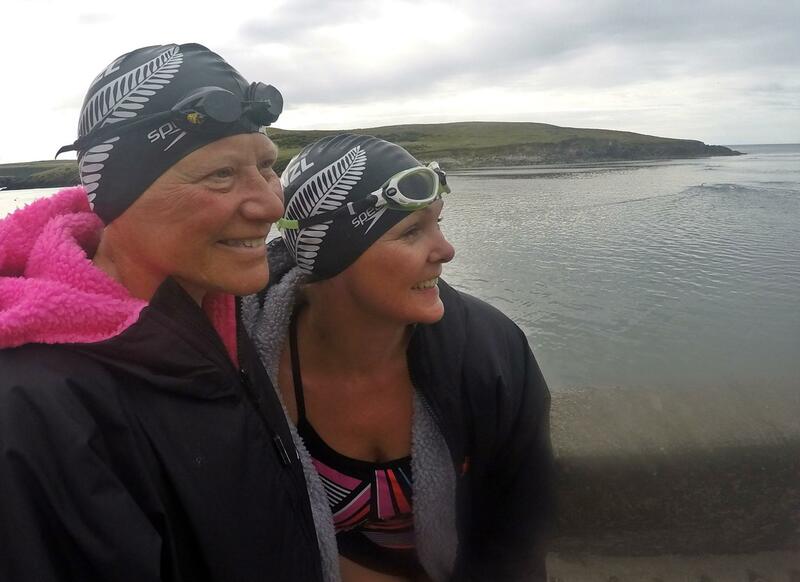 I got in to swim with her and said “Paula, listen to me, you must dig in and keep up the pace, you’re doing great – keep going my friend”. Naturally she was tired, but she kept pushing on. By now Paula was in the French Shipping Lane heading towards French water. I always find my stomach is in knots during this time. Paula started to slow down again and I made the decision not to get in again and be her support swimmer on the next opportunity. Instead, I decided to wait until we were closer to France, when she needed me most. This really paid off. As we got closer to France, heading towards Cap Blanc Nez – France’s equivalent to the White Cliff’s of Dover, there was a little chop bouncing off the cliffs. Keep in mind that by this time Paula had been swimming for around fourteen and a half hours. I asked Captain Eddie if I could get in now to give her some moral support – he gave the green light. 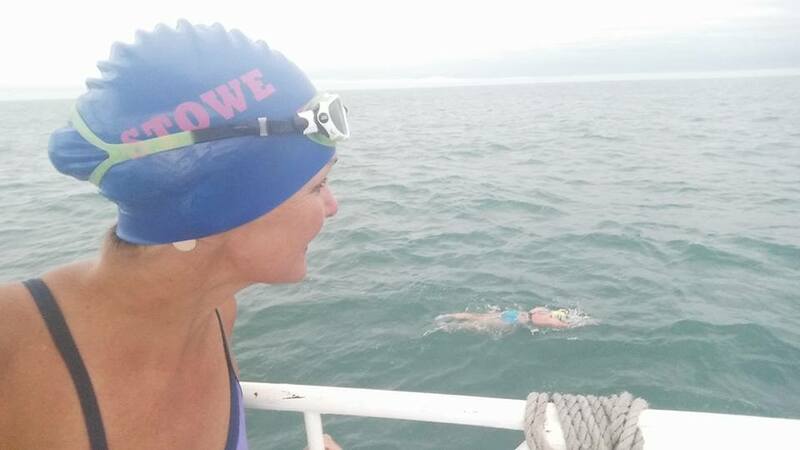 While I was in the cabin, our observer asked me if we should call the swim off as Paula’s progress had really slowed down. I said to him “I know Paula, I know she has slowed right down but please just let me get in with her. I know she can do it”. There was a lot of concern, as there should be, about pushing swimmers beyond a healthy limit. I knew she was tired, but I also believed in her and knew how tough she was. I got in and swam up to her and said “listen to me Paula – you are going to make it but you MUST PUSH. Listen to me….you need to dig deep and give it everything you have left NOW”. “Ok” was her only reply. I also had on the swimsuit Paula had gifted to me before the swim. Paula had the blue version and I had the pink version on now. Not that she could see it in the dark, but I’m sure she knew! Under darkness I was able to swim with my head up and my goggles on my forehead so I could watch her and listen to her breathing. This also allowed me to shout at her the whole time. I know this sounds harsh – if this swim was easy, everyone would do it. So, shout I did. Come on Paula, PUSH. PAULA, you are nearly there. You are swimming to France my friend, PUSH! When my hour of support swimming was up, Captain Eddie made the decision to let me stay in the water as we were so close to France – I was now in as her safety swimmer to swim her in to France. Great! Thank you Captain Eddie! This meant I could keep shouting at her!!! I then noticed the Anastasia crew Rob and Mike launch the IRB (rubber dinghy). Yes!!! This really meant we were nearly there. They came up alongside me and shouted “head for the light shining on the cliffs”. At this moment, Paula said something and the only word the boys thought they heard was “breathing”. They said to me “is there something wrong with her, if so she’s out”. I said “Paula, are you ok!”. She said “I’m just tired”. I repeated the question, she said “I’m fine, I’m just tired” which is completely understandable! I looked towards the torch light the boys were shining on the cliffs and looked up. Directly above this light was my beloved Orion’s Belt star formation. I’m not a religious person, but I do believe in signs. This to me was a great omen! I said to Orion “please let my friend finish her swim, let her dream come true” several times – all the while shouting at Paula. After what seemed like forever, I kicked a rock! “Paula, I just kicked a rock, we’re nearly there”. Push on she did. Finally, with tears in my eyes (I always cry), we reached rocks and had run out of water! “Paula, you’ve done it, you’ve swum the English Channel! You’re a Channel swimmer my friend!”. Paula was exhausted! She just simply said “I did it, I did it, I’m so so tired”! She was absolutely fine, just on empty!! The boys saw me wave my arms in the torch light. When I was about thirteen years old, I completed my Bronze Medallion Surf Life Saving medal. This involved being able to swim another person to safety. I immediately without thinking, put Paula into this position and started to swim Paula back to the boys in the IRB boat. They were jovially yelling out to me to hurry up!! Which I in no uncertain terms told them to keep quiet! We got to the IRB and got Paula on board. They of course went straight back to the boat to get Paula warm and shouted out “are you alright to swim back to the boat”! I was actually grateful to swim back as I had got a little cold being in the water for over an hour and a half swimming at a slower pace. I swam back and soon got warm. The boys did come back for me and I accepted the lift for the last 100 metres. Back on board, it was all action stations to get Paula dressed and warmed up. Deborah told me that she too put her foot down and asked for Paula to be left in while Paula and I were in the water. Big thanks to Captain Eddie and our observer Kevin Murphy for listening to us who knew Paula best. After about thirty minutes, Paula suddenly sat up and said “hello”! We all laughed! Deborah and I put Paula between us for body heat. We were all so tired but so excited for our friend and relayed to Paula events during the swim. 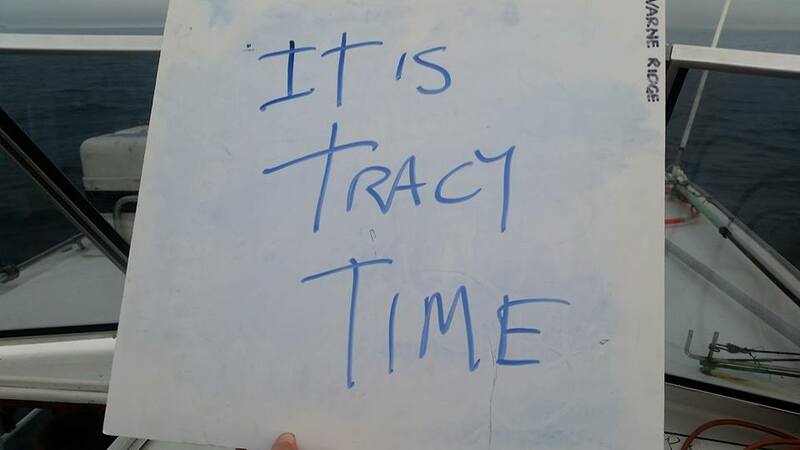 This is a true sign someone has trained properly and prepared for this swim – to be alert (albeit after a small rest). 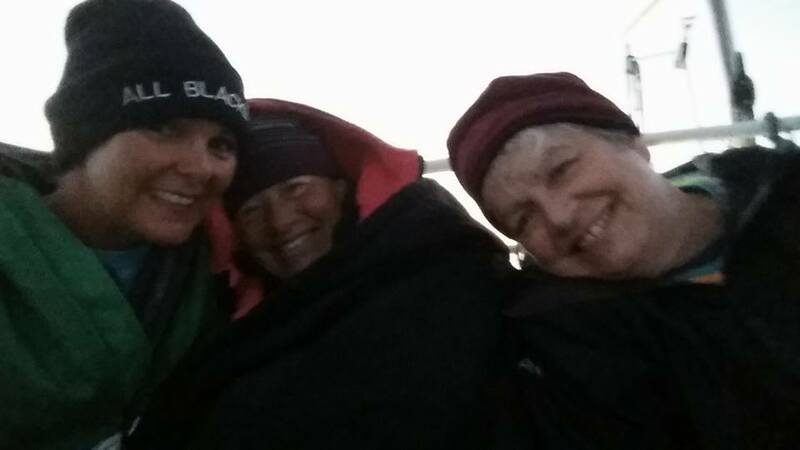 We got back to Dover under a beautiful sunrise and made our way back to Varne Ridge Channel Swimming Accommodation where the rest of the crew were waiting for us to congratulate Paula! I always knew you could do this my friend!! Even at the end when you were tired – you pushed and made your dream come true! I’m so very proud of you! !